A blend of teas ranging from 2-7 years in age. Some tea is from a spring pluck, others are from an autumnal pluck. 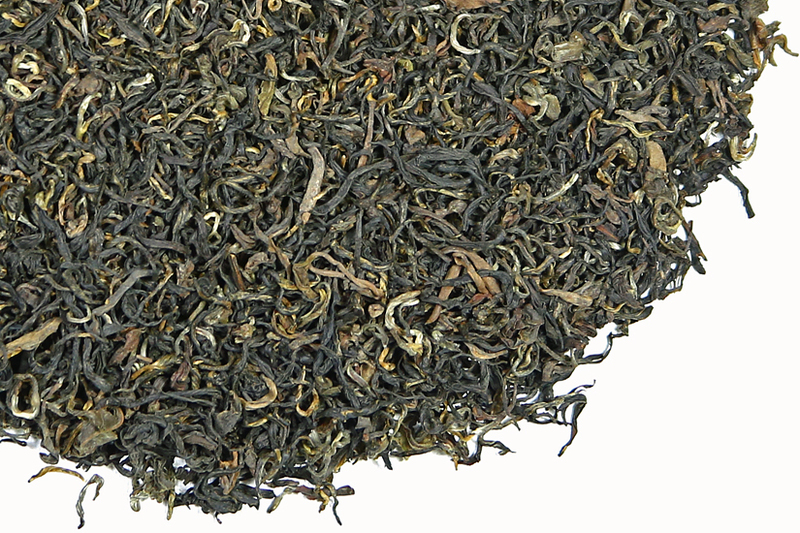 Variation in age adds to the complexity and uniqueness of the flavor of this tea. Steep 1 infusion at 3-5 minutes. 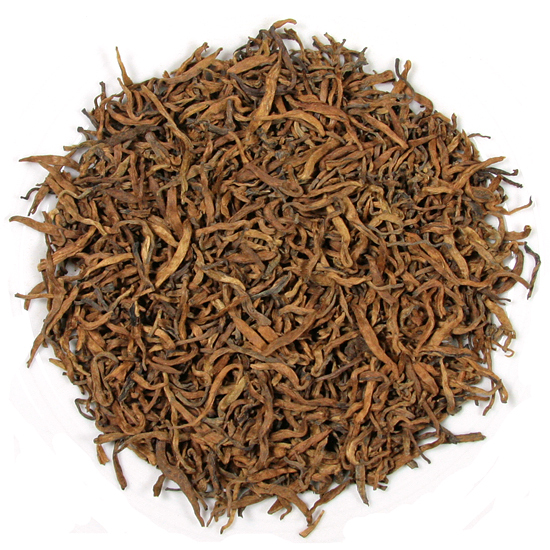 This tea is comprised of mixed sizes of leaf, but is essentially a very-long leaf, bulky tea. Please be sure to use enough leaf to obtain the best flavor. The tea is deep in flavor, smooth and rich, and unique in style. There is absolutely no astringency in this cup, so those who usually add milk to black tea should find this perfectly delicious to drink plain. The qi (earth energy) is deep and carries one inward. This tea settles the spirit and brings a sense of calm to those who drink it. 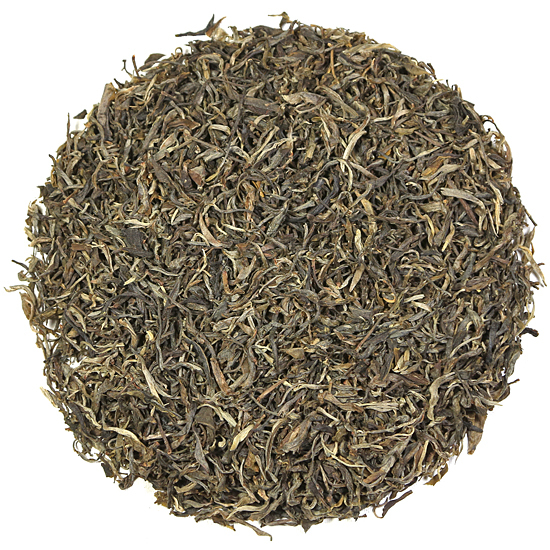 Jolon’s Blend is made with tea gathered from diverse places. Our goal was to use tea with an ancient tea growing history or tea grown in a bio-diverse habitat in an earth-respectful, traditional manner. How many fictional book characters have a special tea blended just for them? Not very many we think. When our friend and very loyal tea customer Chrysler Szarlan asked us if we would create a tea blend for Jolon, one of the characters in her new novel ‘The Hawley Book of the Dead’ we were flattered and intrigued. Chrysler gave us an advance copy of her book to read (we are so impressed, Chrysler!) so that we could become familiar with the character Jolon. While we blend all of our Tea Trekkers blends ourselves, we knew that we could make this task easy or we could make it challenging. We chose the latter path because we love creating delicious blends developing just the right tea for Jolon was an exciting prospect. Jolon drinks rich, full-bodied teas so we envisioned a truly satisfying- tasting tea with earthiness and woodsy-ness and a lot of qi (earth energy) in the cup. Would one tea alone give us the flavor and character that we were after? We thought not. So we knew that we needed to construct a well-crafted, purposeful blend that would fit our criteria to a ‘tea’. As wine and whiskey enthusiasts know, there is a distinctiveness and a ‘unique something’ about the expansive taste of a finely crafted blended product. This beneficial truism comes from the fact that the synergy created between complementary elements is greater than the sum of the individual parts. Think of Pu-er, too, which is made from proprietary ‘recipes’ created by individual tea factories using fresh leaf materials from various villages and tea growing regions. So, after much blending and tasting, and incorporating aged and rested teas of various ages, we knew that this tea was it. 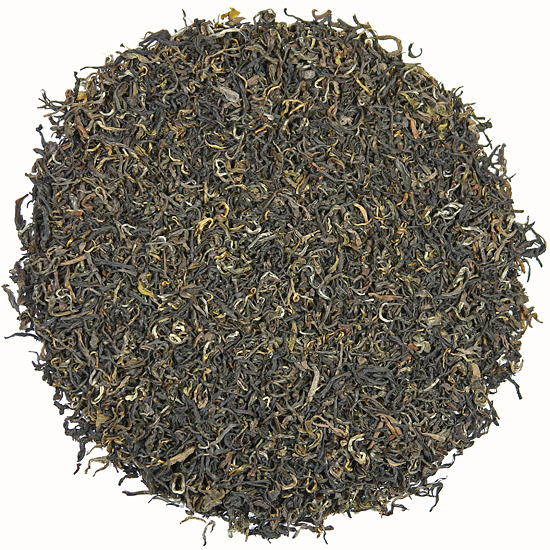 We found a flavor that Mother Nature had not yet discovered and named it Jolon’s Blend. The tea is deep in flavor, smooth and rich, and unique in style. There is absolutely no astringency in this cup, so those who usually add milk to black tea should find this perfectly delicious to drink plain. The qi is deep and carries one inward – this tea settles the spirit and brings a sense of calm to those who drink it. We imagined Jolon taking a sample of the tea home and drinking it for a few days, and then saying it was ‘just right’. In fact, Chrysler approved the tea blend for him, and she named the tea ‘Jolon’s Hawley Forest Blend’ for the magical place in Western Massachusetts where he lives. As we learned more about Jolon we knew that he needed a powerful tea to help him attune his instincts for his work – tracking people who have gone missing. To be a successful tracker, Jolon must rely on a harmonious relationship with the earth and the forces of nature, and have a respect for and a need for understanding different and unconventional ways of knowing. For such a tea, the primary requirement was that the tea be alive with good qi (earth energy/life force) which would allow Jolon to absorb the vibrations of these energy lines and patterns held within the tea. With that in mind, we wanted the component tea leaf for his blend to come from powerful places in the world where the earth’s qi is balanced and harmonious. This would require tea that was made from fresh leaf plucked from mature tea bushes or old tea trees found growing in natural, mineral rich, forested soil that has remained undisturbed for as long a time as possible. In such an environment the natural elements of sun, wind, rain, clouds and mist, in combination with time, allow tea bushes to grow deep, spreading roots that tap into the stream of the earth’s vibrations. Such tea will contain the power of qi which in turn nourishes the qi found within one’s body. The qi of tea is known as cha qi. Those who drink such tea feel relaxed, focused, perceptive, introspective and in touch with their surroundings. 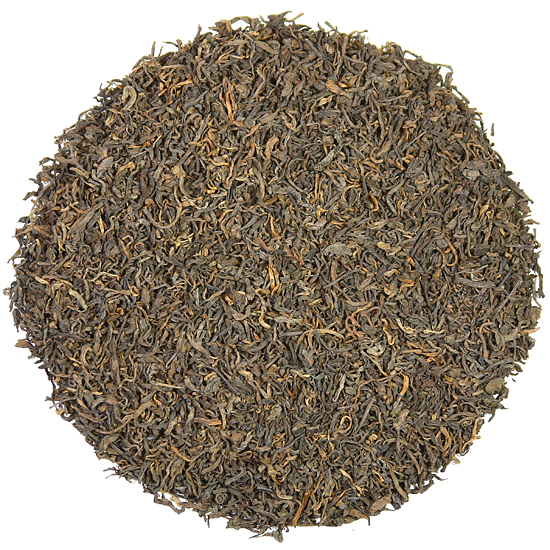 Jolon’s Hawley Forest Blend is made with tea gathered from diverse places. Our goal was to use tea with an ancient tea growing history or tea grown in a bio-diverse habitat in an earth-respectful, traditional manner. This is Chrysler Szarlan’s first novel and it was immediately snapped up for publication by Ballantine Books, a division of Random House. 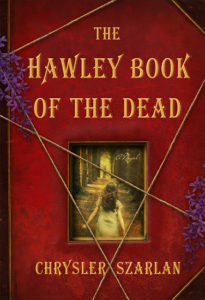 The Hawley Book of the Dead is the first book in the series ‘The Revelation Chronicles’. We congratulate Chrysler and wish her endless happy days lost in her world of story, characters, and magic and great cups of tea. Click here to visit Chrysler’s website.